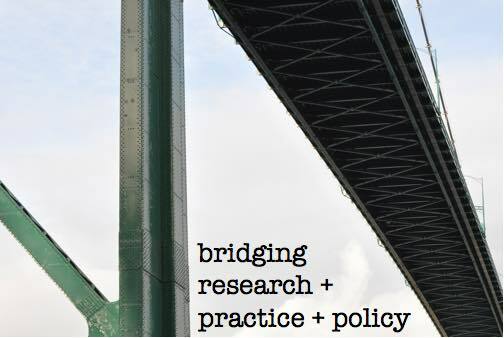 How do we bring research and practice together in way that are mutually informative? How do we connect policy and decision making to data, at a national, regional, local, or oragnizational level? What's the role of evidence in decision making? How can research and practice be mutually informative? How do we build fields of inquiry? Knutson, K. & Crowley, K. (2016) Collaborating across the university/informal boundary: Broader impacts through informal science education. In L. Avraamidou & W.-M. Roth (Eds. ), Intersections of formal and informal science. New York, NY: Routledge. Steiner, M.A. & Crowley, K. (2013). The natural history museum: Taking on a learning research agenda. Curator: The Museum Journal, 56(2): 267-272. Reich, C., Price, J., Rubin, E., & Steiner, M. (2010). Inclusion, Disabilities, and Informal Science Learning. A CAISE Inquiry Group Report. Washington, D.C.: Center for Advancement of Informal Science Education (CAISE). Schunn, C.D., Crowley, K., & Okada, T. (2006). Cognitive science: Interdisciplinarity now and then. In S. J. Derry & M. A. Gernsbacher (Eds. ), Problems and Promises of Interdisciplinary Collaboration: Perspectives from Cognitive. Mahwah, NJ: Erlbaum. Crowley, K., Leinhardt, G., & Chang, C.F. (2001). Emerging research communities and the World Wide Web: Analysis of a Web-based resource for the field of museum learning. Computers and Education, 36 (1), 1-14. Schunn, C. D., Crowley, K., & Okada, T. (2002). What makes collaborations across a distance succeed? The case of the cognitive science community. In P. Hinds & S. Kiesler (Eds.) Distributed work: New research on working across distance using technology. Cambridge, MA: MIT Press. Crowley, K., Schunn, C.D., & Okada, T. (Eds.) (2001). Designing for science: Implications from everyday, classroom, and professional settings. Mahwah, NJ: Lawrence Erlbaum Associates. Schunn, C.D., Crowley, K. & Okada, T. (1998). The growth of multidisciplinarity in the Cognitive Science Society. Cognitive Science, 22, 107-130. Funding provided by: National Science Foundation, Institute of Museum and Library Services, Heinz Endowments.